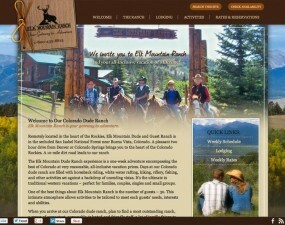 Dude Ranch Websites - InsideOut Solutions, Inc. 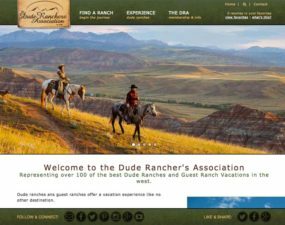 Call us to discuss your dude ranch website and we will walk you through our process, and share our 17 years experience building destination websites that are easily edited in WordPress and updated by you. 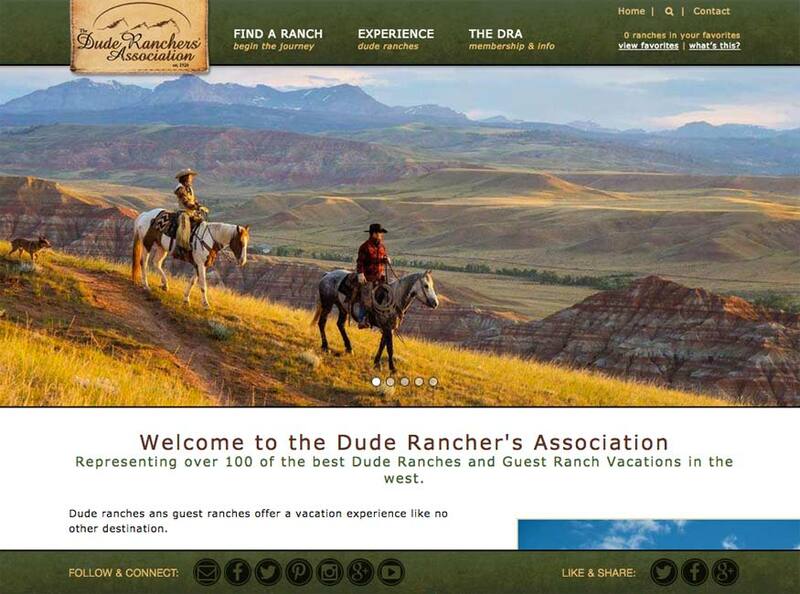 InsideOut has been lucky enough to spend some time at the Dude Rancher's conferences, and we're very pleased to be able to specialize in Dude Ranch websites and marketing. 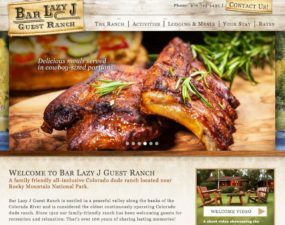 Dude ranch websites should reflect the adventure and authentic experience your guest will have when they ride with real wranglers on your ranch. 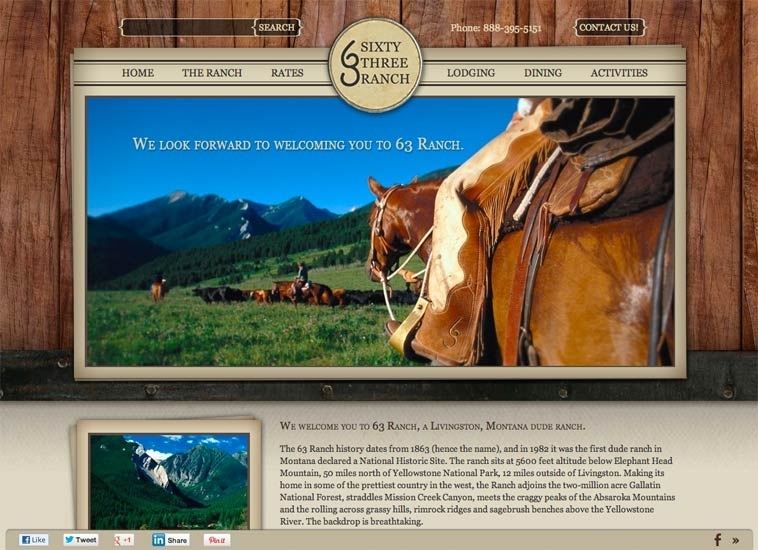 The scenery and exciting ranch activities should jump off the screen so they can easily visualize themselves high in the saddle going down the trail, or up the mountain side to fish in the clear wild stream. 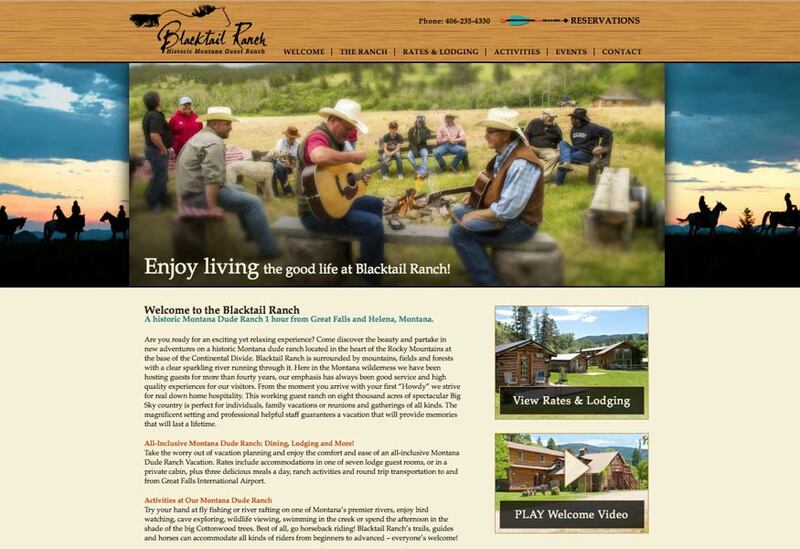 The Team at InsideOut understands your mission and goal is to provide an authentic western vacation that will be a cherished memory and bring guests back time and again. 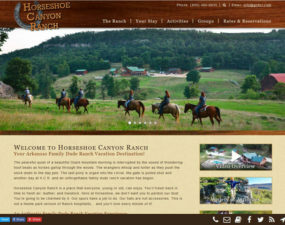 We can help build a web experience that reflects your ranch and your own unique personality, location and adventure so your prospective guest is excited about what they view on your site and contacts you to book their week of adventure. 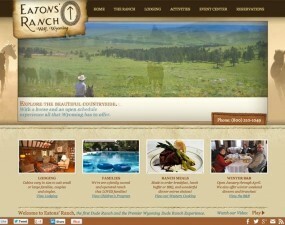 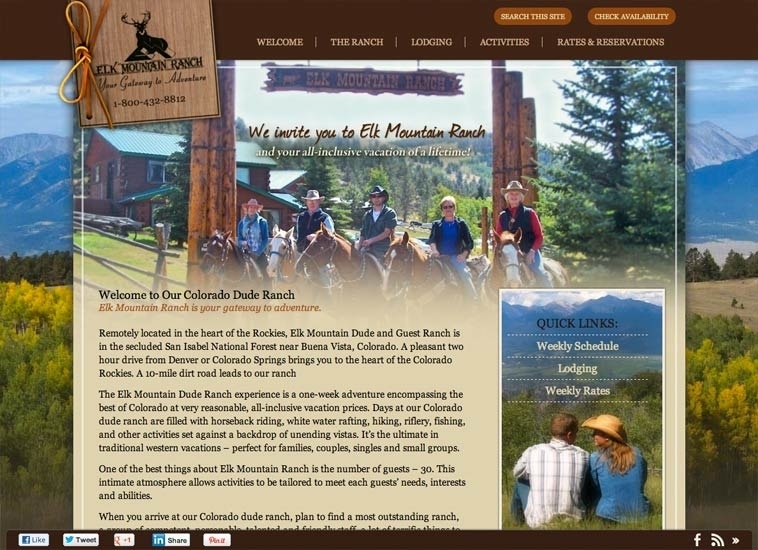 We had a fun time making this site for this friendly all-inclusive Colorado dude ranch, let’s saddle up! 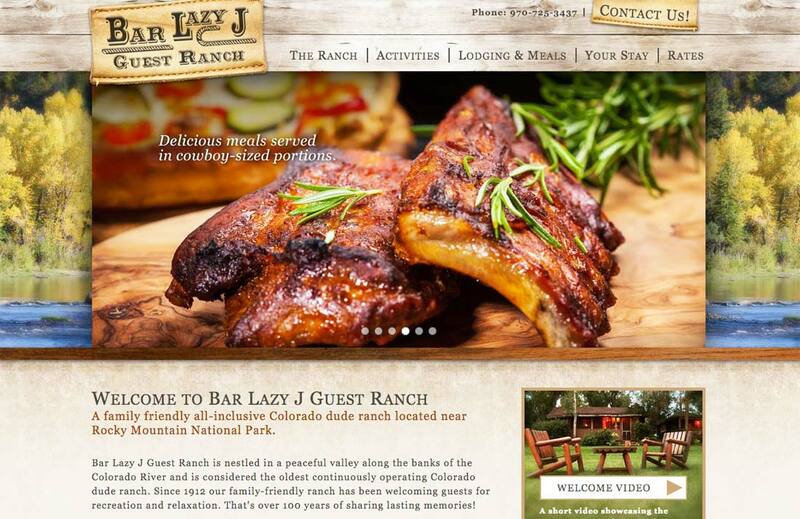 The Jackson Hole area of Wyoming is one of the most beautiful valleys on earth, so a site was needed to show that off! 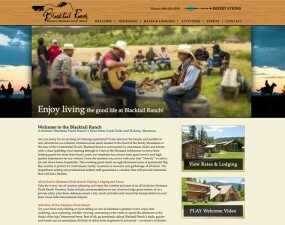 Tag and Sandra of Blacktail Ranch came to us because their website was outdated. 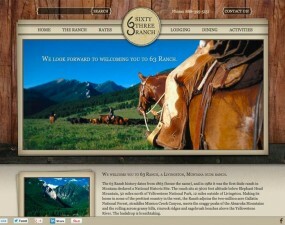 While visiting a dude ranch should feel like stepping back in time, visiting their website shouldn’t! See what we did for them!